DO YOU SUPPORT THE BEDROOM TAX?. "MIBBES AYE MIBBES NAW" SNP. An extract from an SNP candidate selection. “I was asked whether as part of a Westminster deal with another party, I would agree to vote for the bedroom tax if instructed by the party. I replied ‘No’. End of SNP political career”. 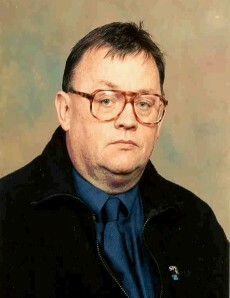 Craig Murray – Rejected SNP Candidate. There are a whole host of questions that a candidate can be asked to test their willingness to support party discipline, e.g. would you support hanging, would you support a ban on immigration, would you support forced labour for unemployed people, would you support the burning of books which were left wing, would you support the building of a 500 foot statue of Alex Salmond on the highest rampart of Edinburgh Castle, all questions which are pertinent to the snp most of whose members would be at best ambivalent about their answers and at worst enthusiastic ‘yessers’ which of course makes them the party we have known and grown to loathe, but they chose “would you support the bedroom tax”. Are the snp policy makers so completely thick-headed as to make themselves hostages to fortune by suggesting that a failure to support the bedroom tax would constitute a reason for rejecting someone as a candidate?, my answer to that is, no they are not. IMO therefore there is no way of denying that this has been asked to pave the way for just such a proposition. What they are saying is they will do and say anything to gain power, as I have said often before when you are a single issue politician you can excuse anything by saying ‘we did it for the great cause’ no matter what injustice you have perpetrated. It is becoming harder for the snp to avoid people seeing what they are really like, perhaps all those additional members will prove difficult to control when they start to realise exactly what they have signed up to. Things are beginning to look really interesting. RENFREWSHIRE SNP SHOW CONTEMPT FOR PARTY LEADER STURGEON OVER THEIR SNP BOOK BURNERS. With apologies to Oscar Wilde “To lose one Councillor may be regarded as a misfortune but to lose 5 looks like carelessness” “The importance of being Ernest” (Lady Bracknell). You’ve got to laugh haven’t you but this REALLY is not funny. December 18th 09.30 am at Renfrewshire Council and the crowd gathers for the full council meeting, the last of the year. Prior to the meeting starting we were treated to some carols by a delightful group of School children from Heriot Primary. A slightly curious carol concert consisting of 4 songs, unusual in that everyone present including the children I suspect had no idea what they were singing with the exception of the Head of Social Work Peter McLeod who is a fluent Gaelic speaker, I was concerned that the lead teacher who was conducting might at some point call on the audience to join in the chorus, still the music was lovely and the children were a credit to their school and their parents. The atmosphere is febrile with the Labour Councillors on a high and the wretched snp Councillors crashing around like a bunch of drunks trying to do a sword dance. The snp group are now reduced to 10 members, 5 having been suspended by their own party with the fate of another still to be decided if he or she can be found, possibly leaving, 9 snp Councillors. The now infamous U Tube pictures of the three fearless snp arsonists was shot by a third snp idiot making the number of suspended miscreants 4 and then there was a picture of all four on show as well so, a fifth must have taken it, one ‘eejit’ is therefore still at large. Possibly being protected by a latter day Flora McDonald, is there a patriotic song in here somewhere i ask myself. This fugitive has obviously decided to take to his or her heels and abandon the other 4 to their fate, so much for Scottish nationalist courage and loyalty, “when the going gets tough the tough snp get offsky and hide”. Sturgeon will be haunted by the missing fifth person, she has shown no inclination to find out who it is and she is scared to revive the publicity with another suspension, that is of course if it was another snp Councillor, perhaps it was one of their legendary well behaved supporters or even an snp MSP or MP, this will not go away, she is already showing her lack of courage and ability to take tough decisions. The 4/5 snp fire raisers predictably did not turn up for the meeting, they decided to hide and not try to defend their actions, despite their defiant remarks they “bottled it” and stayed away. The new snp leadership team are Nicolson & Cameron, yes you heard that right, Nicolson and Cameron, you couldn’t make it up, two of the most disruptive snp councillors there is are now the leader and deputy leader of the Renfrewshire Council snp group. Nicola Sturgeon you have got a real mess in Renfrewshire. This meeting was truly awful the behaviour of the snp was mind boggling, even the usually impeccably behaved and erudite snp Councillor Maria Brown was moved to opine that the snp fire raisers were exercising their right to free speech by burning literature which they disagree with!. Fortunately the proceedings were filmed but unfortunately the behaviour of the snp is heard but not seen as the camera’s only focus on the speaker called by the chair of the meeting. To assist anyone who chooses to watch these proceedings therefore I can advise that the snp rabble, racket and abuse are coming from, in order of guilt, Cllrs. Cameron, Andrew Doig, Nicolson, and Audrey Doig. Other snp councillors join in but these are the worst, some other snp Councillors it has to be said take no part in this dreadful behaviour and in fact seem rather embarrassed by it, perhaps Nicola Sturgeon should investigate this at the same time as her investigations in to the matter of setting fire to literature they do not agree with, meanwhile the snp in Renfrewshire continue to behave like out of control thugs. This meeting took 4 hours and should have taken a maximum of 2 hours that is a £4,000 hit to you the tax payer courtesy of the snp. FOR PREGNANT PALESTINIAN WOMEN IN THE HOLY LAND TODAY THERE IS STILL "NO ROOM AT THE INN". Some 2,000 years ago in Palestine a great census was commanded by Caesar Augustus who wanted to count all the people in the world, the Romans were nothing if not motivated. Everyone had to go to the place where they originally came from which in the case of the Palestinian Jewish family we know as Joseph and his wife Mary who was ‘with child’ meant a journey from Galilee across Palestine to the ‘City of David, known as Bethlehem’. Not long after the birth they all three had to take flight because Herod wanted the child dead, and the rest as they say, is history, and the carols, cribs and festivities are going still. Inevitably where there is money to be made the pill gets sweetened, creative writing goes on and we all now think of Bethlehem as a wonderful place, just look at the Christmas cards, the reality however was different. In fact 2,000 years later Bethlehem is suffering much the same as it did back then only the brutal occupiers are from Israel not Rome. Bethlehem which is an Arab Palestinian town is encircled today on three sides by Israel’s illegal West Bank Wall and can only be accessed by one entry/exit point which is ruthlessly patrolled by the Israeli Army, it’s citizens are effectively prisoners. Israeli settlements are scattered across land belonging to Bethlehem and Israeli soldiers guard who goes in and out with a series of checkpoints, roadblocks, gates and heavily armed occupying Israeli troops. Prior to the creation of Israel in 1948 Arabs, Jews, Christians and Muslims had lived peacefully side by side. Bethlehem Muslims can in fact still be seen today worshiping beside their Christian neighbours in the famous “Church of the Nativity”, a place which most people in fact wrongly think is in Israel rather than in Palestine. Around 28 thousand people live in Bethlehem while about three times that number approximately 90,000 live in squalid refugee camps in desperate conditions around the outskirts of the city and have done since 1948. All of this is taking place despite being declared illegal by the International Court and the United Nations, Israel it seems can do what it likes as long as America backs it up. Bethlehem has stood on the cutting edge of the Israeli occupation for some 66 years and has become a symbol of injustice and an affront to human decency, which is a far cry from the “The little town of Bethlehem” greetings cards which we all have hanging on our walls. No one should stop celebrating Christmas because of what Israel is doing but we should be aware that if Joseph and the pregnant Mary were to fetch up at the gates of Bethlehem on December 25Th. 20 14 in nine days time they would not find the situation all that dissimilar, Arab mothers sometimes give birth at the Israeli controlled gates to Bethlehem while queuing to be authorised to access maternity treatment. Personally, I make a point of never doing anything that would help Israel in any way, no contact, no purchases and criticism always. It might not be worth anything and might not make a difference and this blog article might be the same but it makes me feel better. I urge you to do the same. BUYING RESPECT AND GOOD PUBLICITY - ALEX SALMOND. The great shyster salmond is once again under fire for taking 2 salaries and once again his extremely naive flock rush to his defence, protesting irately that he gave half of his second salary to charity the first time and now he intends to do the same again. To that I say ‘there is one born every minute’, here is what he actually did and is preparing to do again, he will do this again because he is an unconscionable crook and swindler. Remember of course the way he spent tax payers money on the Olympics and his golf junkets and we still do not know where the £50,000 + of missing money went from his last golfing jolly, perhaps the green fees were high. The last time salmond had 2 salaries he donated half of one to a charity in his own area called “The Mary Salmond Foundation” not a very familiar name salmond is it, ken?. Or to tell the truth about it he used the money to buy good media hype for himself, thus using the name of his late mother for personal gain. He is now lining up the same cynical stunt again by donating part of his 2 salaries if he is elected to Westminster to good causes. He could of course just refuse the salary and let it go back in to the common pot of money which helps everyone but he has no intention of doing that. After all "What's the point of doing anything worthwhile if nobody's watching" as Nicole Kidman said in the movie “To die for”. Wee Eck always has an angle and this squalid farce is no exception. As Billy Connolly once said about Andrew Carnegie "he gave money to charity as quietly as a waiter falling downstairs with a full tray of glasses" and the "useful idiots" still can't see through him. ARE THE SWIVEL EYED LOONS OF THE SNP ABOUT TO DECLARE 'UDI' IN RENFREWSHIRE?. Renfrewshire Council’s snp group once consisted of 15 Councillors, they now have 10. No less than 5 of the original 15 have been suspended by the snp high command, can anyone tell me if this is some kind of record?. To paraphrase Oscar Wilde “to lose one or two Councillors is a misfortune but to lose five looks like carelessness”. I believe this rabble also hold the record for the longest suspension ever handed down for a Councillor by the Standards Commission, one year for an snp councillor accusing the council of nepotism. Two of those recently suspended by their own party are the glamorous MacLarens, Mags and Kenny who when not on the front cover of Vogue can be seen setting fire to bins in Renfrewshire. These two are employed by snp Holyrood politicians one of whom is Scottish Minister Derek Mackay. Derek rose without trace due to the patronage of alex (Del boy) salmond who is no slouch when it comes to spotting an obsequious yes man to keep a furtive eye on his colleagues and make the tea. The fact that the MacLaren’s are employed by snp MSP’s however is not amusing, it means that we, you and me dear reader are paying their wages, oh yes we are. The other two villains of course were ex military man Will Mylett who, ignoring personal danger bravely set the bin ablaze, thus showing his expertise in dangerous situations learned in the military. He was a cook in that dangerous theatre of conflict, that cauldron of flames known as, the NAAFI, one of our brave boys in fact who served in the British Army. Last but by no means least was Brian Lawson what is there to say about Brian other than that his colleagues saw fit to elect him as leader of Renfrewshire Council when they formed the last administration, aided and abetted by the wretched Liberal Democrats, one of whom survives, one councillor out of 40, perhaps God is punishing their evil doings. How many might be left before the next elections is anyone’s guess, are there enough sacks for the snp ferrets to fight in?, remember the ‘book burning’ was carried out on a document which was signed up to by the snp leadership. These people want to run an independent Scotland, voter think on. THE SNP'S WEE BRIAN, BIG WULL AND POSH AND BECKS MACLAREN AND THE SCOTTISH BLUEBELL MATCHES. No one really likes to say ‘I told you so’ but sometimes it is inescapable. This morning I saw the beginning of chaos in the snp which I had been predicting after a referendum defeat, this thought crossed my mind when I looked at the headlines in the Scottish morning papers today, there pictured in all their awfulness were snp Councillors Brian Lawson, Mags MacLaren and Will. Mylet, brought to us courtesy of amateur photographer and amateur politician Kenny Maclaren snp who wielded the camera. It took a while to get the head round what they were doing and it turned out they were burning a report on devolved powers for the Scottish parliament which displeased them, a publicity stunt if you will. We have all heard the saying “there is no such thing as bad publicity” a saying which usually applies to charlatans and self publicists, like the snp for instance, I doubt if these 4 hapless idiots would concur with that saying right now. As the country awoke the snp had already condemned their actions and by afternoon they had all 4 been suspended from the party, I wonder if Ms. Sturgeon has ever heard of Harold MacMillan’s answer to a reporter who asked and I paraphrase “what worries you” ? to which ‘Supermac’ replied, “events dear boy events”. The person who should have been left holding this first of many babies is of course wee alex (Del boy) salmond who with rat like cunning saw what was coming and ‘done a runner’ he now counts his money and plays golf while the useful idiots that he marched up and down the hill deal with the hopping mad fall out caused by him. One of the most disturbing aspects of this affair is the snp’s murky past. This has been a constant embarrassment to the snp, their tactic of choice in dealing with these matters is denial, abuse and evading the issue. The sight of politicians burning writings that they do not like of course brings back memories of when such behaviour by nationalist mobs led to catastrophic events. I was tempted to hurry over to the railway station to see if the trains had suddenly started running on time. What we saw here was the snp behaving execrably in public, people who are regular attendees at council meetings will not be in the least surprised, I urge the public to attend these meetings and witness their conduct. Renfrewshire has the reputation of being one of the worst behaved council’s in Scotland because of their antics which have been going on for years. They are also seen as an snp “fundy” stronghold meaning that they are strongly in favour of nationalist fundamentalism, they regard themselves as having been betrayed by people like salmond, Sturgeon and Swinney who persuaded members to adopt a gradualist approach to independence only to lose convincingly, they are livid and out for revenge. Internecine warfare and dirty tricks between the ‘fundies’ and the ‘traitors’ looks more than likely and “them that dies will be the lucky ones” (Long John Silver). The increase in members to the snp could easily turn out looking like a Gadarene Rush when the new recruits realise what the party they have joined are really like. This is only the start.